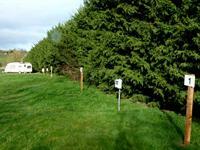 We have five pitches with electrical hook up, an accessible toilet and shower room and a chemical toilet sluice room. 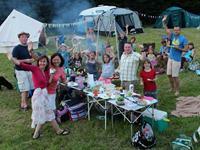 Our large camping area that can accommodate up to ten tents. I arrived at gone 9pm to fine a quaint pub on the cross roads of two country lanes nestled in the countryside. The landlord and land lady are both just the most welcoming people. The room was basic but perfectly comfortable. It was clean and had all the items you would want. Unfortunately I didnt get chance to look around the area due to being on a business trip but have booked to return next week for 2 nights with my wife.